Are you hungry for a little fright? Explore the Field of Fright! It's scary fun for all ages! 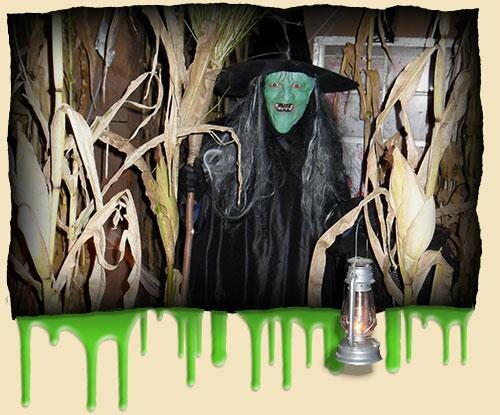 Come experience the dark corners of the corn field at dusk! "Enter on Free Will, Exit…on Luck!" 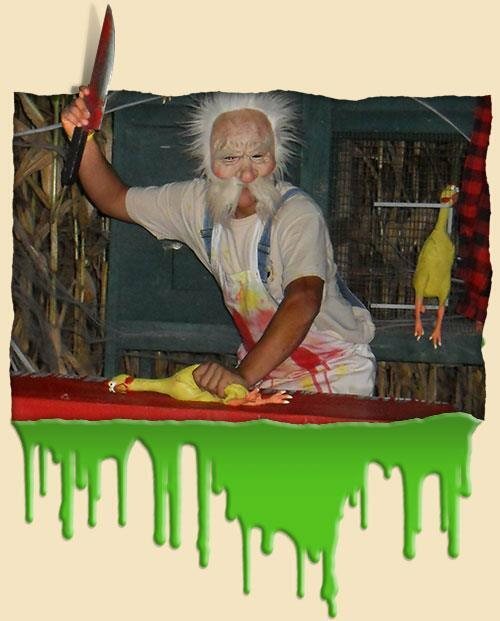 This Halloween those who dare to enter Seward Farms Field of Fright - look out! They're lurking all about! The oldest and strongest emotion of mankind is fear, and the oldest and strongest kind of fear is fear of the unknown. Double the scare this year!!! Jump aboard our Haunted Hayride, which takes you on a 20 minute ride into the darkness of the unknown, and also wander into the “Field of Fright”, where you will enter into a new experience of “FEAR” as you walk into the dark corners of the cornfield. You choose your package. Do both or choose your favorite scare! There is a field full of clever twists and surprises! Lots of creatures will be stirring... See if you can survive the unexpected, the fright night thrill of the corn, a hair-raising, adrenaline-pumping night—"until the field lies silent." Zombies roam, Witches take flight, you're in for a fright, this Halloween….